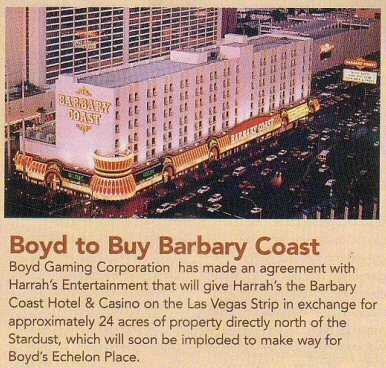 Boyd gets Barbary Coast back? Sadly not, it’s still winging its way into the hands of the Evil Empire. I did get quite excited when I saw the (fairly major) typo in this month’s Casino Player. Even though it didn’t really make any sense.